In the mood for a retro kitchen? Why not go to a specific timeframe like the 80s? There are a lot of inspiration from this era just waiting for you to uncover them all. Open kitchens were a hit in the 80s with warm tones, but it’s so much more than that. In order to get 80s kitchen design ideas, take a look at what we have compiled for you! One way to get an instant 80s feel for your kitchen (or any room in general) is by paying attention to the seating. There is a new twist in seating in the 1980s that was intended to achieve fun and entertaining resting area. Built-in banquettes were a big hit for they provide ample seating spot for guests. 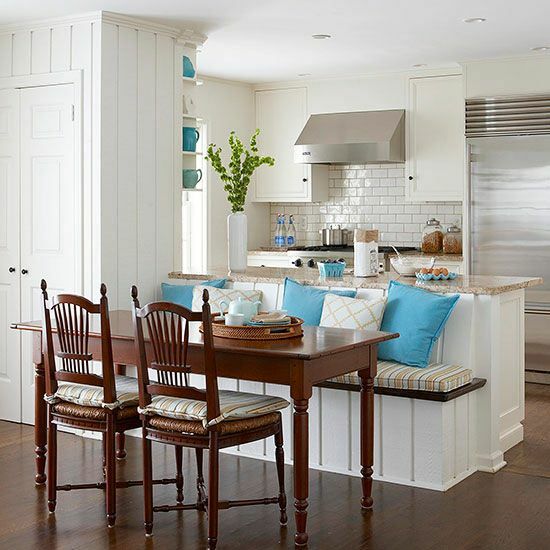 What’s great about this is that the banquette is connected to the kitchen counter space. Underneath the slipcovered foam cushions are plywood lids that function as hidden storage and you can uncover it by simply lifting it off. This is a nice ample room to have afternoon tea or munch on snacks with family or your beloved ones. Implementing this particular 80s kitchen design idea is a great start to achieve your 80s inspired cooking spot. If you look for 60s, 70s or 90s inspired cooking spot designs, most, if not all, still include cabinetry. 80s is more about efficiency and implement something you think is unseemly for kitchens like the aforementioned conjoined seating-counterspace. 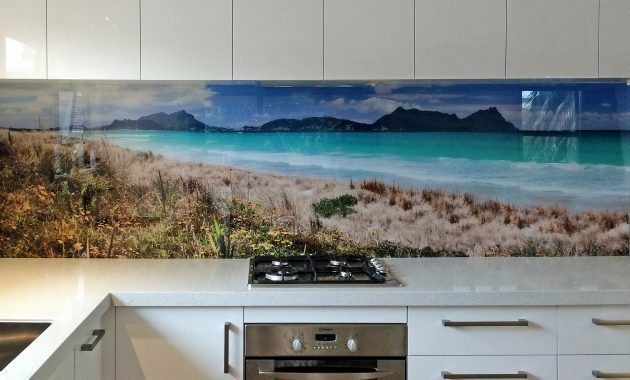 This tip is similar in terms of efficiency where you don’t have to settle for a whole cabinets that take almost the entire wall in your kitchen. Instead, opt for a larger island that have storage drawers in all three or four sides. That way, you have plenty of room in your walls you can adorn or just leave it bare with certain color mix. You still can adorn your wall with open shelving arranged geometrically. Geometric patterns were also a hit in the 80s and it’s a bold and creative way to accent your kitchen. 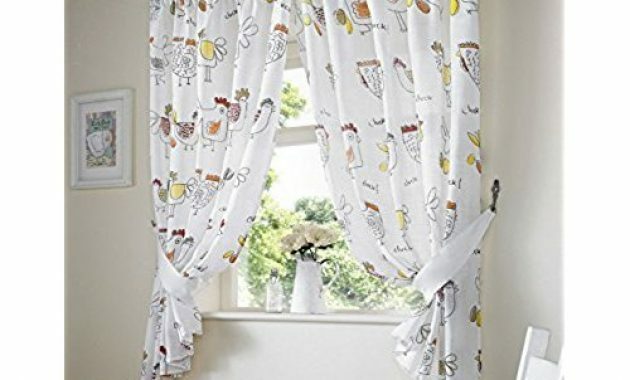 As for the window, preppy styles can be a good style for the kitchen windows because this style is one of the 80s’ calling cards. Complement the windows with thin stripes or delicate polka dots along with flattering color pairing to get the best output. Pastel colors ruled for two decades from 1980 to the end of 1999. Pastels were especially dominant in 80s interior design, not the least of which kitchens. 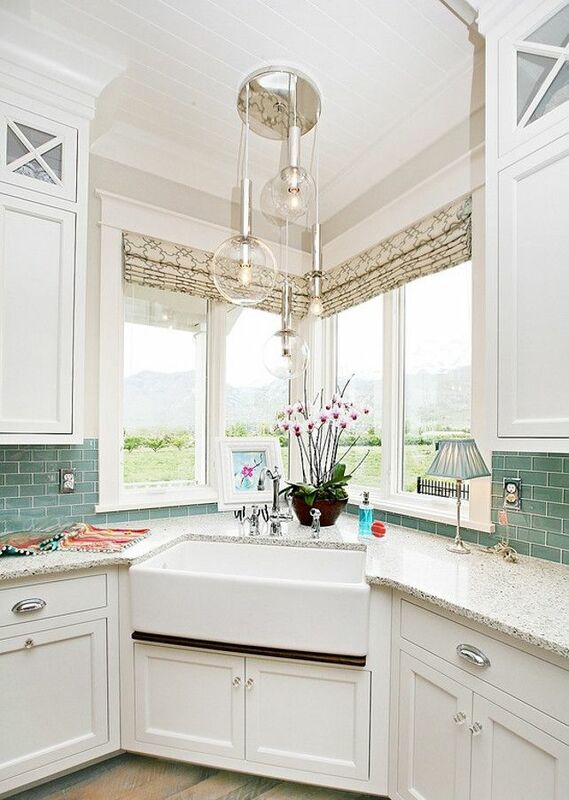 To get an instant retro feeling, pair a soft aqua for the cabinetry and white color for the rest of the room, although adding a touch of cream (implement this for the ceiling and backsplash) can be a perfect addition. Another alternative is to go for rustic style. This one also ruled the decade. 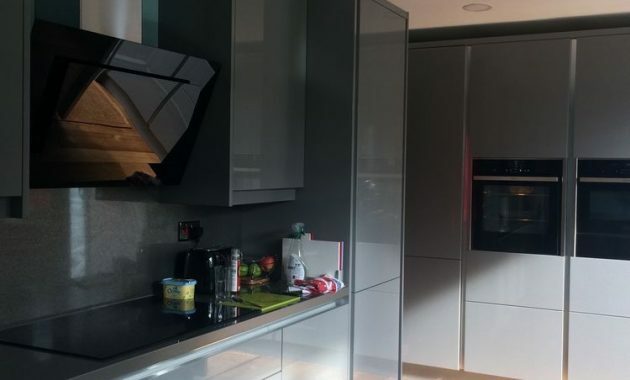 An open cooking area is an important 80s kitchen design idea you should consider too. 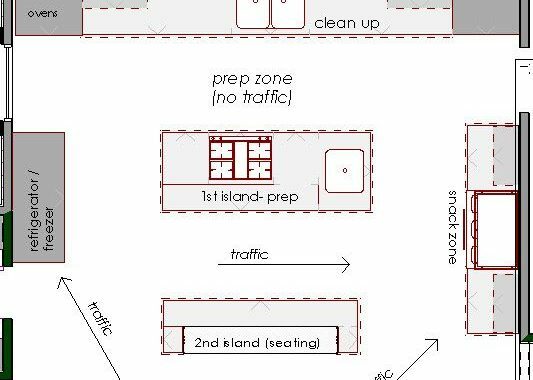 It’s also highly recommended if you get rid of a wall that separates the kitchen from the next room for kitchens are now simply not only for preparing meals but also for gatherings, accepting guests, making decisions, etc. Next post 90s Inspired Kitchen Design Ideas to Get You to Travel Back to Your Childhood.